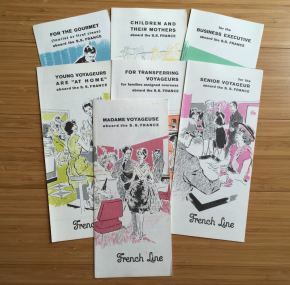 A very unusual set of seven flyers for the French Line dating to around 1967 that I have never seen before. 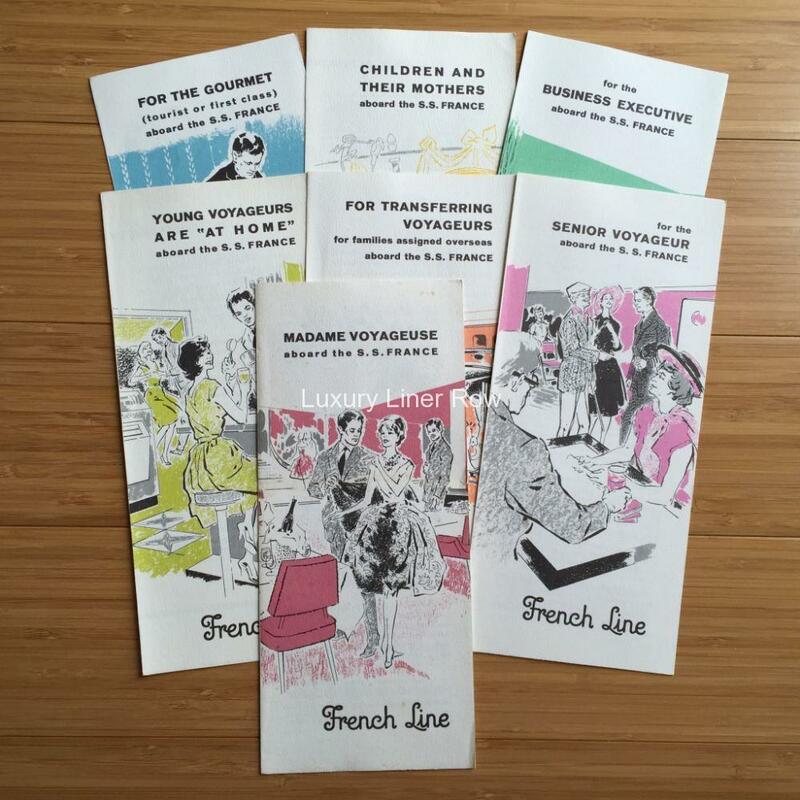 This set of brochures covers the various services offered on board the ss France to specialized groups of people — mothers and children, female passengers, business travelers, etc. A fascinating look at how the line was trying to make itself relevant and appealing to targeted groups of people. All are in great condition. These brochures are also available individually at $7 each. When ordering, please let me know if you want the set or an individual brochure.